My sister Tapaswini Mishra is 32 years old. She is from Puran Tripathi sahi, a remote village under district Jagatsinghpur, Odisha (india) . 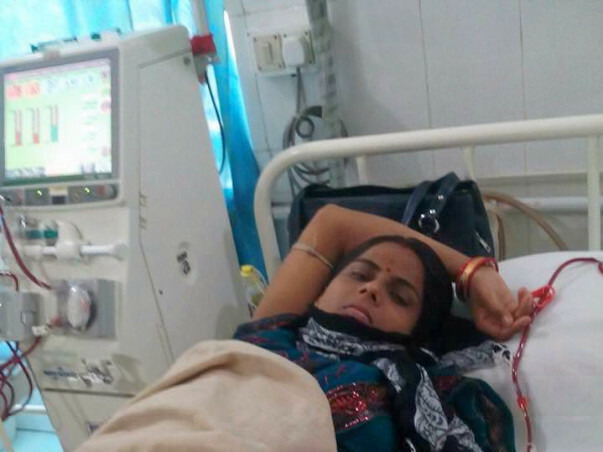 She is suffering from chronic kidney disease which has affected both her kidneys. She has been under dialysis for more than 6 months. She got married in the year 2010 and was living happily with her husband’s income. He works as a private refrigerator mechanic. In the year 2012, she delivered a boy. Just after 6 months of delivery, she became felt weak and complained of nausea and vomiting. We have consulted with a local doctor who prescribed some gastritis medicines and vitamins. But we found no more improvement in her health, so we consulted a professor of medicines in SCB Medical college, Cuttack. After investigations, it was found that her serum urea and cretin almost triple than the normal range. 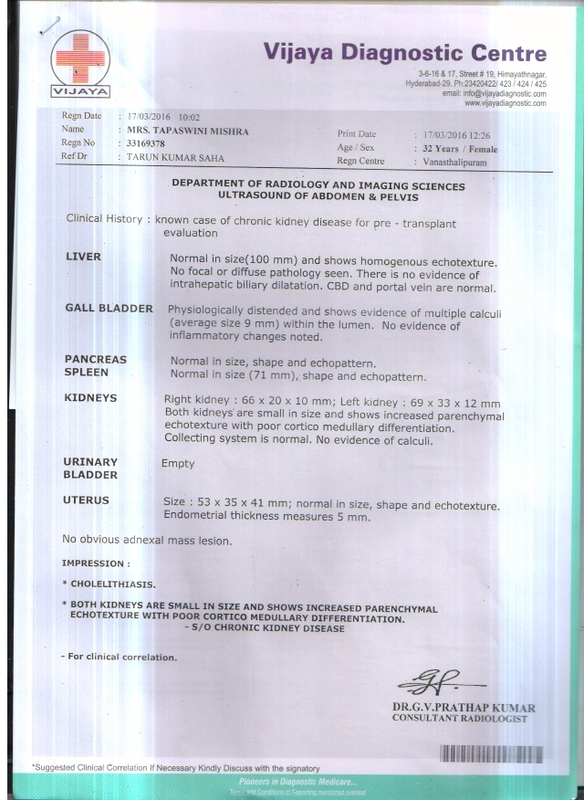 After USG it is found that both her kidneys are damaged. Doctor advised us to arrange Rs. 8 to 10 Lakh for Kidney Transplant. I have arranged 3 to 4 lakh by our farm land and trees but another 5 to 7 lakh for kidney transplant is not possible for us arrange. Your little contribution will save the life of a mother.